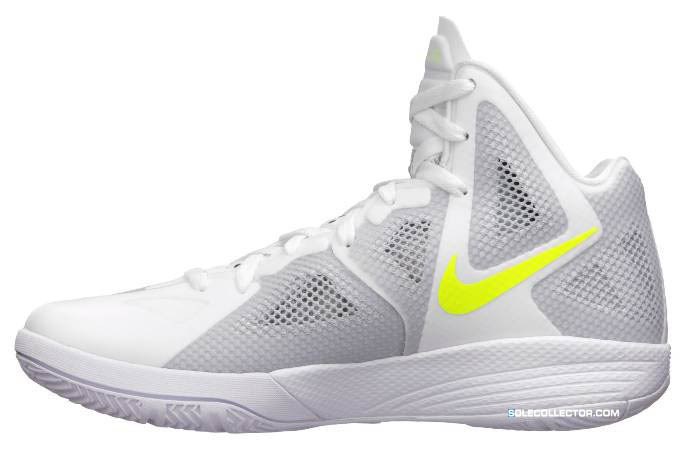 One of this summer's launch colorways of the next generation of Hyperfuse. 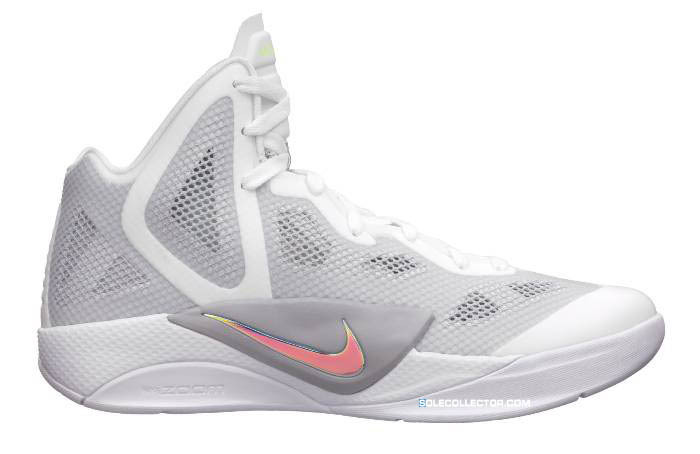 Yesterday, this colorway of the Nike Zoom Hyperfuse 2011 was made available to purchase on NikeStore, but has since been removed with officials citing an error in the listing. However, we still have images to show you of what to expect when the Hyperfuse 2011 officially launches in July. This summer-friendly pair features a white synthetic base with wolf grey filling in mesh panels throughout. Volt hits branding on the tongue, medial Swoosh branding and footbed, while metallic luster takes care of the Swoosh on the midsole. Finishing off the simple look is a white rubber outsole. No word on when Nike will officially re-list this colorway, but you can expect them by early July. Of course, Nike Vault will get a jump on things by releasing the Los Angeles Sparks colorway on Tuesday.